The poison used at the Valley Club contained bromadiolone, an anti-coagulant that kills mice and voles by causing internal hemorrhaging, according to investigators. It is one of four compounds in use known as second-generation anticoagulant rodenticides, which were created after mice and rats developed resistance to the less-toxic first-generation anticoagulants. To reduce wildlife exposures and ecological risks, the U.S. Environmental Protection Agency has imposed sales, package size and use-site restrictions on the products to reduce their availability to the residential consumer market, though they remain available for more widespread applications. Mike Demick, information supervisor with the Idaho Department of Fish and Game, said the department discourages the use of poisons in any outdoor situation due to their potential effects on non-target animals, but the department has not studied the hazards of anticoagulants in particular. The issue has been closely studied in California, however, where the Department of Fish and Wildlife has asked for further restrictions on use of the poisons. In a paper titled “Second Generation Anticoagulant Rodenticide Assessment,” dated June 27, 2011, the California Department of Pesticide Regulation concluded that second-generation anticoagulants are moderately toxic to birds and extremely toxic to mammals. From 1995 to 2011, the department analyzed the carcasses of 492 non-target animals, including 194 birds (primarily raptors) and 298 predatory mammals that died from various causes. About 75 percent had residues of one or more rodenticides, and the department concluded that the poisons were involved in the deaths of 24 percent of the animals studied. 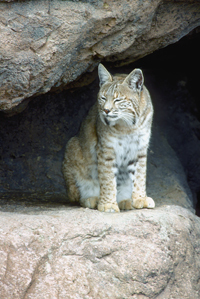 The department’s paper also cited a 2007 study of bobcats that died of mange as an example of the sub-lethal effects of rodenticides. As a result of its assessment, the Department of Pesticide Regulation has proposed that use of the anticoagulant poisons be limited to certified commercial and private applicators. Charlotte Fadipe, the department’s assistant director of communications, said the department anticipates that the regulation will be put into effect this summer. She said the department received more than 24,500 public comments on its proposal. In California, second-generation anticoagulants can be used only in and near buildings, and Fadipe said they are not legal on golf courses or agricultural fields. Idaho Department of Fish and Game spokesman Mike Demick said the department encourages use of vole-killing traps rather than poisons. Aaron Thompson, head golf pro at Bigwood Golf in Ketchum, said the course does not use any poison. “Over the winter, sometimes we have a bad vole year, but we just rake the grass out,” he said.